This is a lacquer-making factory in Mahachai Samut Sakhon, Thailand. I came across it one day while driving through the countryside, dropped pin and returned a few weeks later with my gear. It was open until about 2007 when the owner passed away & his family sold it to a nearby company which operates a large manufacturing factory of some kind. I have no idea how old it is but it seems to be at least 40 or 50 years old. I like the industrial tones of the red, rusty metal as well as some yellow powder/metal. 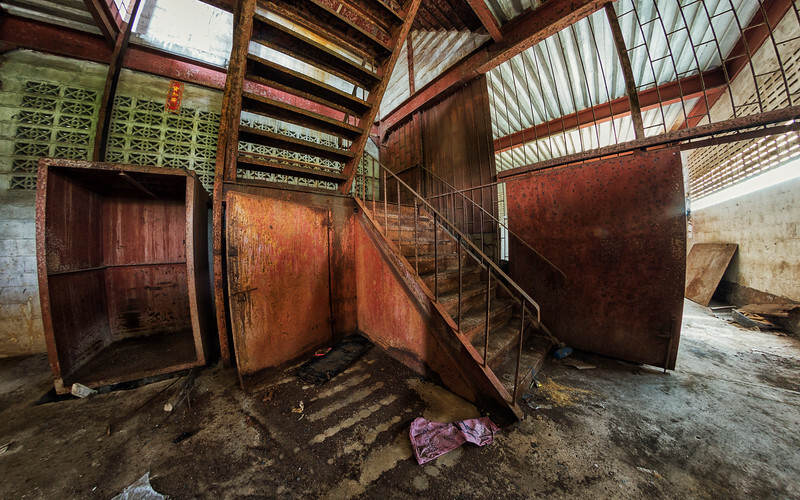 The site also has yet another fantastic spiral staircase, one of my favorite features of any building to photograph.